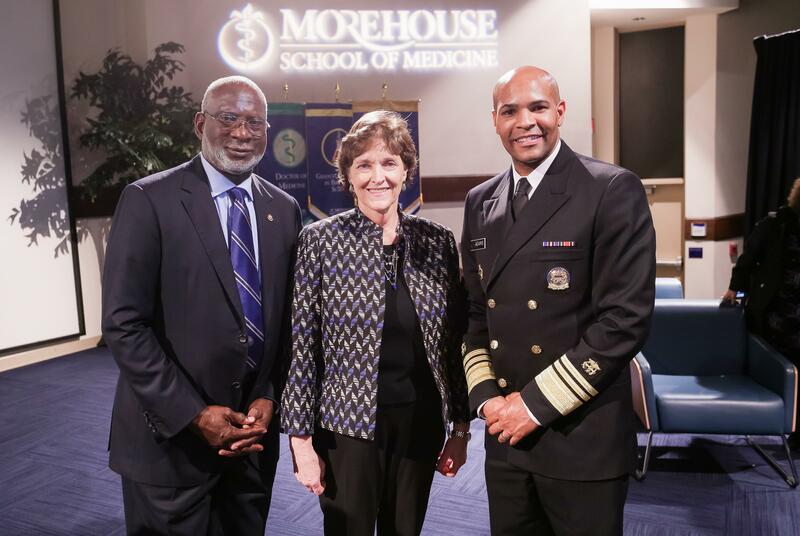 Our nation’s 20th and sitting Surgeon General of the United States, Vice Admiral Jerome Adams, M.D., M.P.H., visited Morehouse School of Medicine (MSM) on Wednesday, November 8 as part of the school’s“Fireside Chat” series. 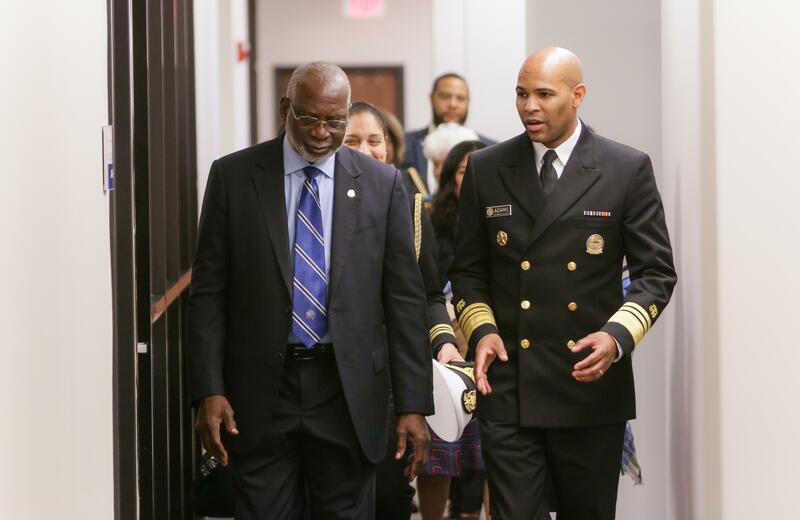 He was joined by the nationally renowned David Satcher, M.D., Ph.D., 16th U.S. Surgeon General. 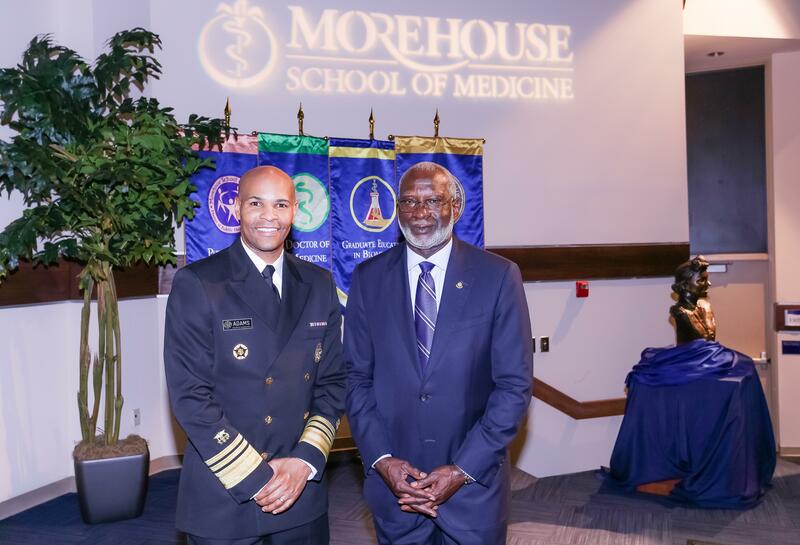 Dr. Satcher is also a past president of MSM and the founder of the Satcher Health Leadership Institute. It was a unique enhanced educational opportunity for MSM students to hear from two high ranking federal officials. Drs. 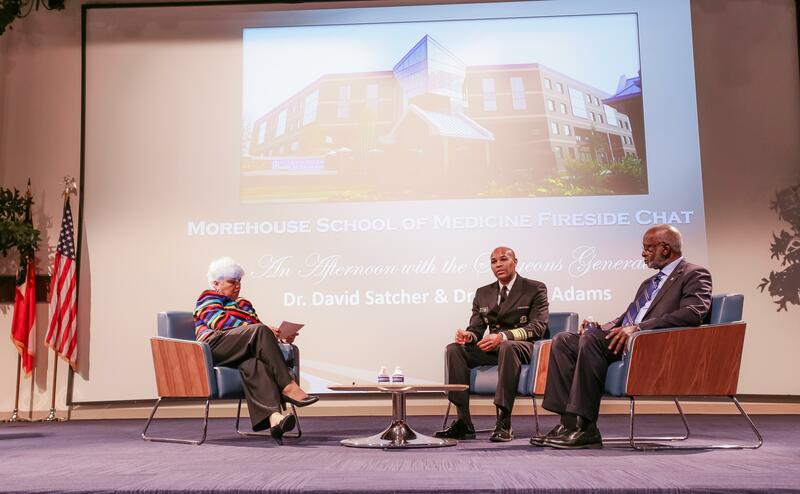 Adams and Satcher spoke openly about a variety of topics, including mental health and the opioid crisis. 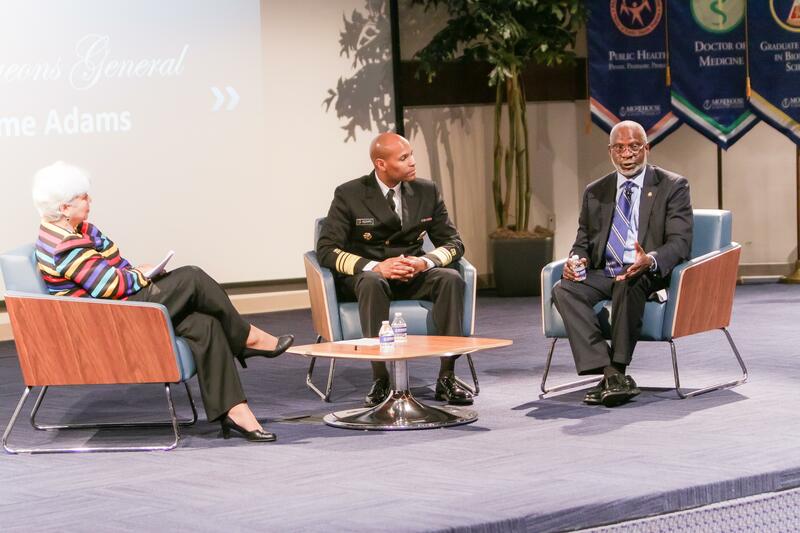 Both surgeons general discussed unraveling stigma attached with mental health issues and encouraged those in the audience to speak up if they have been affected by mental health issues including anxiety and depression. 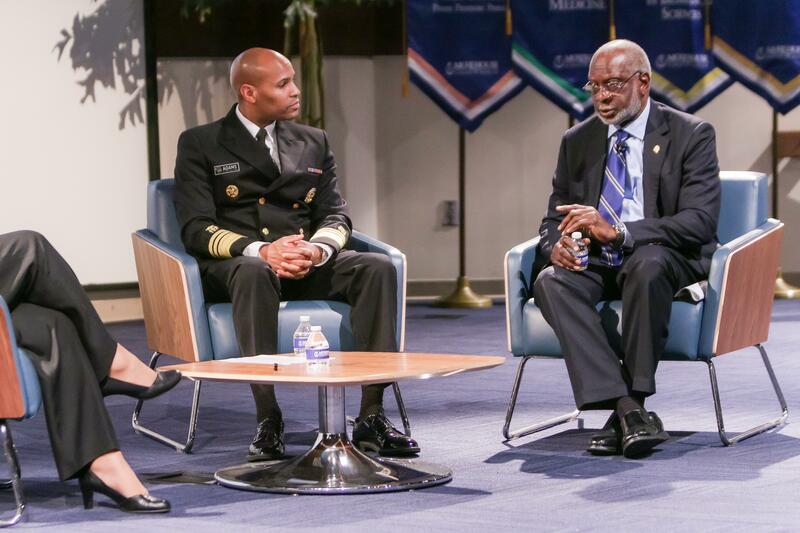 “We have to create the kind of community where people feel comfortable admitting they need help,” added Dr. Satcher. Dr. Adams said he intends to tackle is the opioid crisis that is gripping our nation. He notes that it will be a challenge because there are a number of layers to the problem. The Surgeon General plans to show communities what they can do take “bites out of the elephant” and reduce opioid abuse. He also acknowledged that the opioid crisis is not new to our nation and addressed why it is now receiving national attention. The two surgeons general also took the opportunity to dispense valuable advice to MSM students as they prepare for their professional careers. “Stay the course. 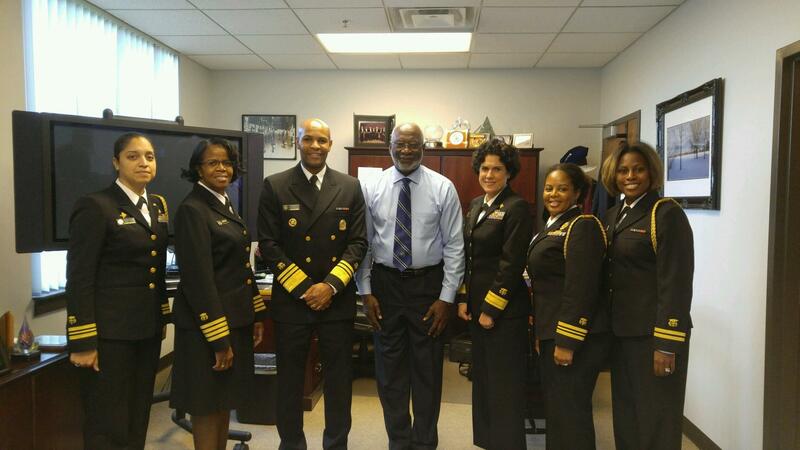 You need to be clear about your mission,” said Dr. Satcher. He also encouraged students to work together with others in the medical field, no matter what their area of practice, in order to provide the best healthcare possible to their patients and their community. 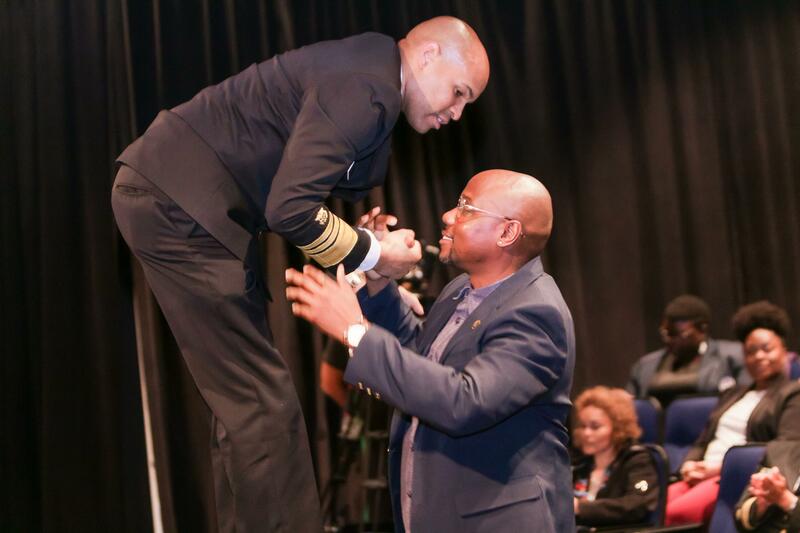 The Surgeon General advised students to be ready for every opportunity to make a positive first impression by practicing their elevator pitch and being prepared to deliver it any time the opportunity presents itself. He also suggested they look at ways they can help others professionally. 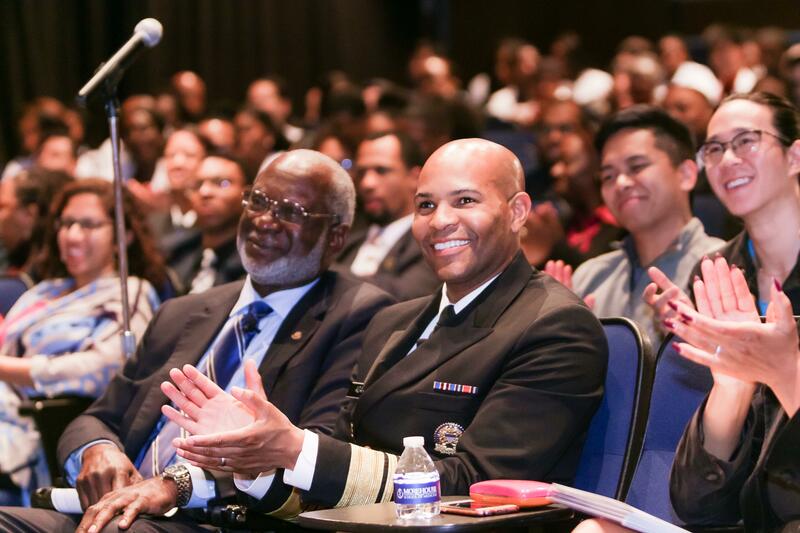 As the Nation’s Doctor, the Surgeon General provides Americans with the best scientific information available on how to improve their health and reduce the risk of illness and injury. In 2010, the Affordable Care Act designated the Surgeon General as the Chair of the National Prevention Council, which provides coordination and leadership among 20 executive departments with respect to prevention, wellness, and health promotion activities. 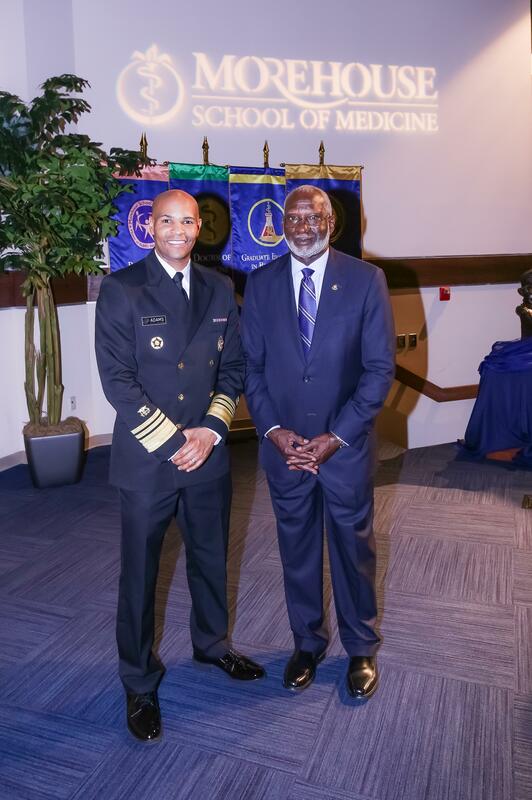 The Surgeon General oversees the U.S. Public Health Service Commissioned Corps (USPHS), an elite group of more than 6,700 uniformed officer public health professionals working throughout the federal government whose mission is to protect, promote, and advance the health of our nation. The Surgeon General is nominated by the President of the United States with advice and consent of the United States Senate for a four-year term of office. The Office of the Surgeon General is part of the Office of the Assistant Secretary for Health in the U.S. Department of Health and Human Services.